Attorney Ronald J. Levine addresses a hypothetical sauce company’s recall management by imagining a fictional discussion with its CEO. The sauce company may be made-up, but the issues are quite real. The hypothetical sauce company Tasty Peanut Sauce is a young food company focused on building a name in a highly competitive marketplace. As the head of a startup, Tasty’s hypothetical CEO has a hundred concerns keeping him up at night. High on his list? He’s been reading about pathogen outbreaks and is well aware recalls can cost companies millions of dollars and even have resulted in executives going to jail. It’s gotten so bad that he’s now having nightmares about a product recall, so he calls his outside legal counsel for advice. Here’s a transcript of a call where the company’s hypothetical lawyer tries to help him come to terms with his fears. CEO: I’ve been having terrible nightmares about a potential recall. Am I crazy? Or is Tasty Peanut Sauce a sitting duck? Lawyer: You’re not crazy. Food companies have been issuing quite a few recalls, and they’re under the microscope of government agencies and plaintiffs’ lawyers. I wish I could point you to a single cause to look out for, but a host of triggers are tough to avoid. You could face a recall due to mislabeling, undeclared ingredients, contamination during production, or even issues with adulterated ingredients from suppliers further down the food chain. No matter how carefully you try to avoid a recall, you may have to conduct one. The best thing you can do is to try to avoid a problem, and preemptively plan for one, so you’re not taken by surprise. CEO: Where would I start if I had to deal with a recall? Lawyer: You first want to discover the source, root cause and extent of the problem. That means Tasty should develop and implement a traceability program for your suppliers and ingredients. After that, you’ll need to locate where your affected products have been shipped. In addition, Tasty must be able to rapidly communicate with distributors and customers. All of this is important, but ideally you want to do everything possible to not go down this path. Prevention should be your top priority, and that starts by cultivating a food-safety culture at Tasty that institutes manufacturing best practices, including monitoring facilities with spot checks to ensure safe operating procedures. CEO: Sounds like we need a plan in case we must recall our sauce. Correct? Lawyer: Absolutely. A formal recall plan is not only an essential manufacturing best practice, but it is mandated in several laws. You must have a team prepared in advance to implement the recall, and they must be well-trained on the necessary steps to execute the plan. It can’t be a plan that sits in a file drawer. CEO: I already have so much on my plate. Do I need to drop everything to get on this? Lawyer: The coordination of the recall itself doesn’t have to fall on your shoulders, although you should take the lead in planning. You can assign the overall coordination of any recall situation to a trusted senior executive. This recall manager should then identify a “recall team” made up of managers and other key personnel throughout the company who can contribute to the management or implementation of a potential recall. That said, you can’t stick your head in the sand. When it comes to product safety, the buck stops with you. CEO: I guess we should write a plan, appoint a point person and wait. Lawyer: You can’t sit back and wait for the hammer to fall. The best food companies test their response plans by conducting simulations. A table-top exercise can reveal deficiencies in your response protocols and help familiarize the team with their roles and the procedures to be implemented in a recall. CEO: If we simulate a recall, who should be involved? Lawyer: The recall manager should decide who to keep informed as the recall unfolds. In most situations, that includes consumers, distributors and retailers, Tasty’s financial lenders, media outlets and regulatory bodies. Statements and key messages should be tailored to each audience, so Tasty is addressing the specific aspects of the recall that affect them. I suggest you turn to public relations (PR) experts with knowledge and experience in working on food recalls for help in creating and disseminating these messages, especially if it involves the use of social media, where misinformation and poorly worded responses can spread quickly and tarnish all the good work you’re doing. CEO: If we have a recall, should I be prepared to be the “face” of the company? Lawyer: Not necessarily. In some cases, you can appoint a spokesperson with excellent communication skills. Depending on the scope of the recall, you might find it useful to pair them with another spokesperson or appoint two spokespeople to handle different elements; for instance, one person can handle supplier questions, and the other can handle investor outreach. If that’s the case, be sure to try to speak with one “script,” so the messages to all audiences are in sync. Questions from consumers and the media should be directed to a centralized corporate response center to ensure current and accurate information is communicated. Employees should be instructed not to communicate with the press, but to immediately refer all inquiries to a designated media relations official. In everything you do, be aware that overzealous plaintiffs’ lawyers will drill down on everything the company does during a recall, and some may use poorly phrased statements against the company in litigation. CEO: Any suggestions on how we can get up to speed on this front? Lawyer: Tasty should work with its PR consultants with experience in regulatory matters to develop a library of reference materials regarding the company and its products, as well as a list of spokesperson and media relations guidelines, and drafts of press statements for potential recalls that can be quickly edited to address a specific situation. This is not an attempt to manipulate the news, but a response to the fact that bad news travels quickly, so you need to ensure the story is balanced from the outset. CEO: What would we say? Lawyer: Some lawyers are overly cautious and steer their clients toward a “no comment.” I’m not a fan of that approach. I prefer my clients aggressively address the situation and let their customers know they’re concerned about their welfare. If the facts warrant, you should stress Tasty’s concern for any harm or inconvenience and talk about how Tasty will address the problem. It’s essential to keep the public informed as you do everything you can to correct the problem and ensure the safety of your product. Of course, any statement should be reviewed by counsel since it can be used later by an adversary if a lawsuit develops. CEO: If we prepare a press release in advance, what should it include? Lawyer: You should have a press release prepared, so you can fill in the details when necessary. It should provide a clear and detailed description of the product, including things like lot number, production date and pictures; as well as a concise explanation of the action the company is taking and the potential health hazards. You should also include directions on handling or disposing of the product, the company’s refund policy, and the contact information for representatives at Tasty who can provide more information. On refunds, you want to communicate a convenient procedure for consumers, but in a way that avoids fraudulent refund claims from people who didn’t purchase the product. CEO: I can only imagine we would be under attack on social media! Lawyer: That’s possible. Building a proactive social media plan is an essential part of the recall strategy. You’ve done a phenomenal job promoting your brand on social media, but you can’t retreat from it when your product is under attack. You might want to consider implementing a social media monitoring tool that can track postings and possibly tip you off about a problem with your product. CEO: Contamination can originate in ingredients from our suppliers. Should you be reviewing our purchase and sale contracts? Lawyer: Definitely. Certain provisions should be in your supplier contracts. For example, you should require suppliers to assume the liability for their products in case of a recall. Let’s also require suppliers to add your business to their insurance policies as an additional insured party. And, you may want to disclaim certain warranties to help minimize losses from negligence or liability claims. CEO: And I assume we need to worry about everything we are putting in writing? Lawyer: The recall may not be the end of the story. Well after the recall is complete, consumers impacted by the adulterated product could file a class action complaint. The government, as well as plaintiffs’ lawyers, also may seek access to the company’s records, including documents related to production, sanitation and sales, and documents generated during the recall. Tasty must keep its eye on recording the steps it takes to address any past food safety issues and the recall process. Everyone in the company must be fully engaged and aware of potential pitfalls if they fail to record their actions appropriately. In my “safe email and texting” classes for clients, I teach employees how to refrain from putting speculative or spontaneous comments in writing, because they can be used against the company. For example, employees often say, “I’m not a lawyer but … ” before they go ahead and speculate on liability. This must be avoided. CEO: How is this going to impact my bottom line? Lawyer: Well-publicized product recalls have cost companies tens or even hundreds of millions of dollars in lost sales, goodwill and reputational damage. Direct costs can include the value of the tainted product, notification costs, product transportation and destruction, and additional labor and space to deal with destroying the product. Indirect costs can include lost sales, including potential loss of customers, business interruption and legal liability, especially if consumers suffer physical injury from contamination or mislabeling. I hate to add this, but some have even resulted in criminal prosecution. CEO: This sounds scary and expensive. Should I also look at our insurance coverage? Lawyer: Yes. A standard commercial general liability policy will hopefully provide a defense and indemnity for lawsuits brought by consumers alleging physical sickness from your products. To trigger coverage, there would probably have to be actual physical injury alleged by the plaintiff. The mere risk of future bodily injury will generally not trigger coverage. Moreover, your general liability policy probably doesn’t cover damage to your own product and would not cover Tasty’s economic losses associated with a recall. CEO: Is there special recall insurance? Lawyer: Yes. Most recall policies do not require actual bodily injury to trigger coverage. Rather, depending on the wording, it is sufficiently triggered if the contamination would likely result in bodily injury within a certain time after consumption, which could be up to one year. That’s important because a recall could be required in the absence of direct contamination or actual bodily injury. Policies cover recall and replacement expenses, such as the cost to pull the product from store shelves and replace it; lost profits; investigative costs to determine the cause of the contamination; and crisis management expenses. I would start by talking to your insurance broker about your current coverage and possible additional coverage in these areas. CEO: Thanks for this recall therapy session. We covered a lot, but I think I have all the tools I need to address a recall and put an end to my recall nightmares. 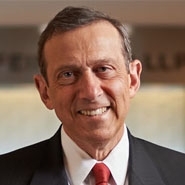 Ronald J. Levine serves as general counsel of Herrick, Feinstein LLP and is also an independent consultant with EAS Consulting Group. Levine has 40 years of experience advising consumer products companies in complex commercial matters. A pragmatic advisor who helps clients anticipate, minimize and resolve the financial and reputational damage arising from claims and potential claims, Levine specializes in crisis management, for food and beverage manufacturers, and advises on class action litigations and investigations, including serving as an expert witness, related to labeling, the Food Safety Modernization Act (FSMA), advertising claims, product recalls, FDA regulations and other concerns. This article originally appeared in the April 5, 2019 edition of Natural Products Insider.